From our popular Stand n Stuff range, a special taco shell that makes it easier to eat and display. 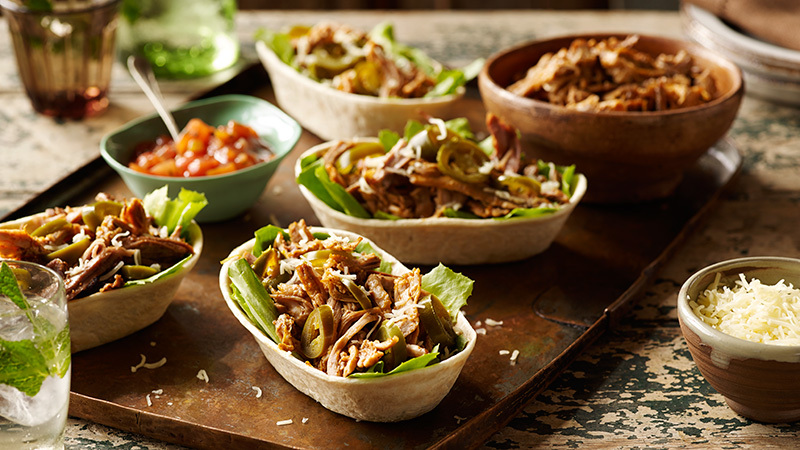 These slow cooked pulled pork soft tacos is the perfect party meal. 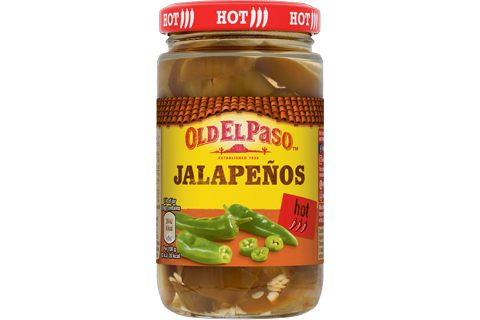 With tender, pull of the bone pork, seasoned with vibrant Mexican flavours, it sits on a bed of lettuce and topped with spicy, pickled green jalapeños and grated cheddar cheese. All of this on an easy, Stand n Stuff soft taco. So get ready to tuck in and enjoy a Mexican classic with a modern twist. Lightly grease slow cooker with cooking spray and trim pork shoulder of any excess fat. Then carefully mix the oil with the seasoning mix, and brush all over the meat. Pour your chicken stock over the meat and then cook on high heat for 4-5 hours, or low heat for 8 to 9 hours, or until pork is tender and cooked throughout. Shred your lettuce and place into a bowl ready for serving, along with your jalapenos and grated cheese. Remove your pork from the slow cooker and place onto a wooden board or plate. Next, take 2 forks and gently start to pull the pork apart. Repeat until all the pork has been pulled. For extra flavour, you can pour some of the excess meat juices back over the shredded pork and combine together. 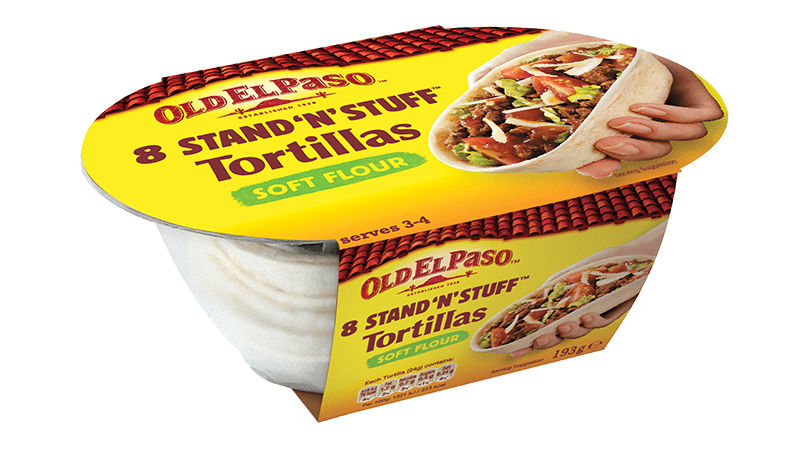 Take the tortillas out of their packaging – it is important not to oven heat or microwave the soft tortilla shells in the plastic packaging. To heat in the microwave, put them on a microwaveable plate, on full power, for 30 seconds. To oven heat, pre-heat the over to 165⁰C (same for fan assisted ovens) / gas mark 3 and wrap the tortilla shells in foil before placing on a baking tray in the oven for 7-9 minutes. Fill your Stand ‘N’ Stuff Soft Flour Tortillas with your slow cook pork filling and top with your freshly shredded lettuce, grated cheese and jalapeños!